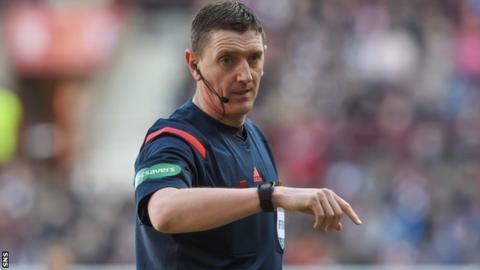 Craig Thomson will referee the Scottish Cup semi-final between Rangers and Celtic on Sunday, April 17. His assistants will be Alan Mulvanny and Douglas Ross, with Bobby Madden the fourth official. There will also be two goal-line officials in place with Kevin Clancy and Don Robertson fulfilling these roles. In the other semi-final, a day before, John Beaton will take charge of Hibernian's clash with Dundee United. Beaton will be assisted by Graham Chambers and Stuart Stevenson while Euan Anderson is the fourth official. Andrew Dallas and Alan Muir will be the goal-line officials.